Spring into the festive new year with Quilksilver. 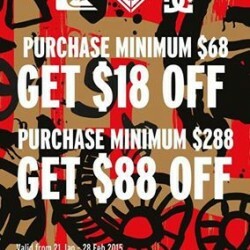 Purchase minimum $68 and get $18 off. Purchase minimum $288 and get $88 off.